Hey… Wait a minute! Did you notice the title of this article? 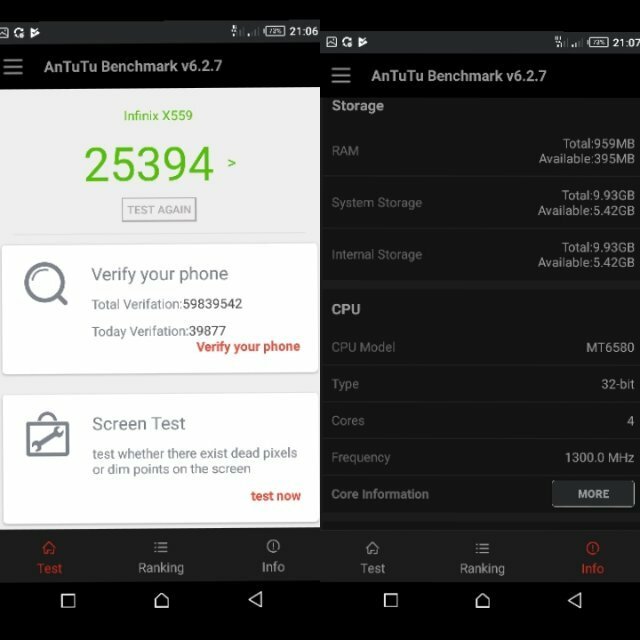 Look at it again: Infinix Hot 5 (Lite) Unboxing Review and Antutu Benchmark… See the “Lite” in bracket? OK, you do now! 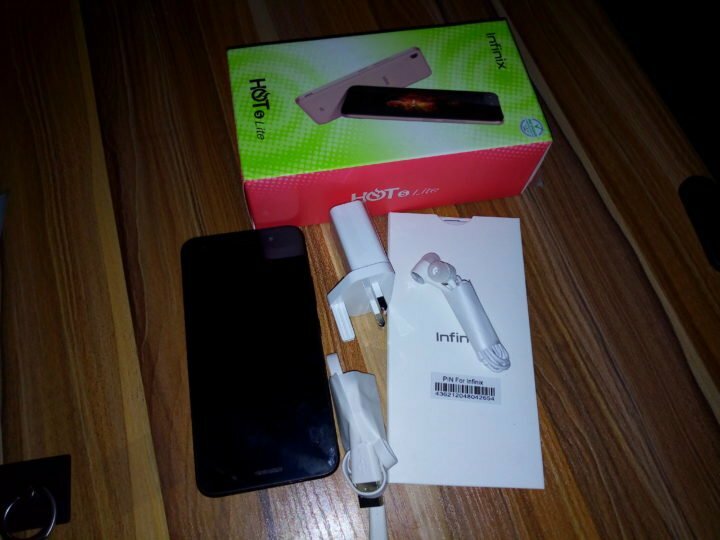 This Unboxing Review is for the Infinix Hot 5 lite, but since design wise, the Infinix Hot 5 (aside the rear facing fingerprint scanner) is not different from the Hot 5 lite, I decided to let the lite be in brackets, so this review article can be available to folks searching for either of the two phones. While we might be confident to compare the Hot 5 lite with the Hot 5, we CANNOT attempt to compare the Hot 5 series with the Hot 4 series of last year, because design wise, both phones are world apart. Although, specification wise, well, the Hot 5 have few things that owners of the Hot 4 might desire, which might be the major reason for upgrade, among which are; the Dual front-facing speakers, and the Dirac audio output, and of course, the little shift in design. 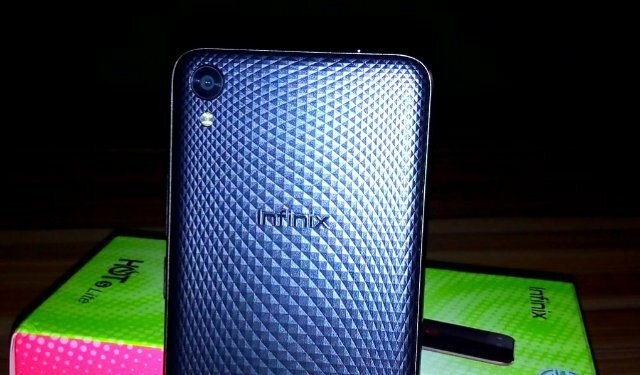 Own the Infinix Hot 4? Then take a look at the specifications of the Hot 5 (Lite) at a glance, and see if you should upgrade to the Hot 5, or wait for Infinix Hot 6. Storage includes a 1GB (or 2GB for the Hot 5) of RAM and 16GB ROM, expandable up to 32GB via a dedicated microSD slot. Battery: 4000 mAh with 2.0A charger. Other features include Dual front-facing loud speakers, 3D Dirac Audio and the rear facing fingerprint scanner on the Hot 5. For reasons unknown to me, the Hot 5 review unit I received, had few delays while on transit. 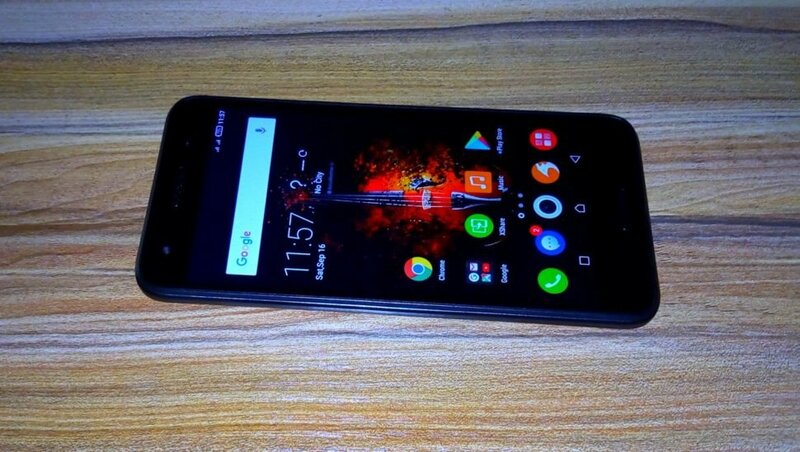 So on the arrival of the device, we went straight to ‘pop the Can open‘, and I’m sure you you already know what we first saw: a 5.5-inch device covered with dark, shiny, screen protector with Infinix and Hot advertisement all over it. As for the device well, like I said earlier, design wise, the hot 5 is different from the hot 4. But still, the overall design of the smartphone is not far fetched. It was as though Infinix was looking back to the older Infinix Hot Note 1, pushing the rear facing camera back to the upper left hand side. Overally, I found the Hot 5 to be very comfortable in the palm. But despite the patterned rear panel, you should not be careless handling the Hot 5, cos believe me, it can still slip off your palm because the rear panel is very soft with glossy feel, which does not really aid grip. More of that in the full review. At the top of the 5.5-inch display, there’s a 5-megapixel front facing camera on one hand, the assisted LED flash on the other hand, while an ambient sensor and the upper loudspeaker (same as earpiece), occupies the middle. Go below the screen and you’ll find nothing, except the second front facing loud speaker. But how about the capacitive buttons? Well, Infinix opt for an on-screen navigation buttons, instead of the usual Android capacitive button, which should be an advantage to users at night, because, you’ll need not worry about the keys being backlighted or not. On the order hand, the onscreen navigation key will some how reduce your screen estate from the said 5.5-inch display. (more on that in the full review). The side of the phone includes a power button and the volume rockers to the right, the 3.5mm audio jack at the top, microphone and USB 2.0 at the base of the phone, while the left hand side is bare. 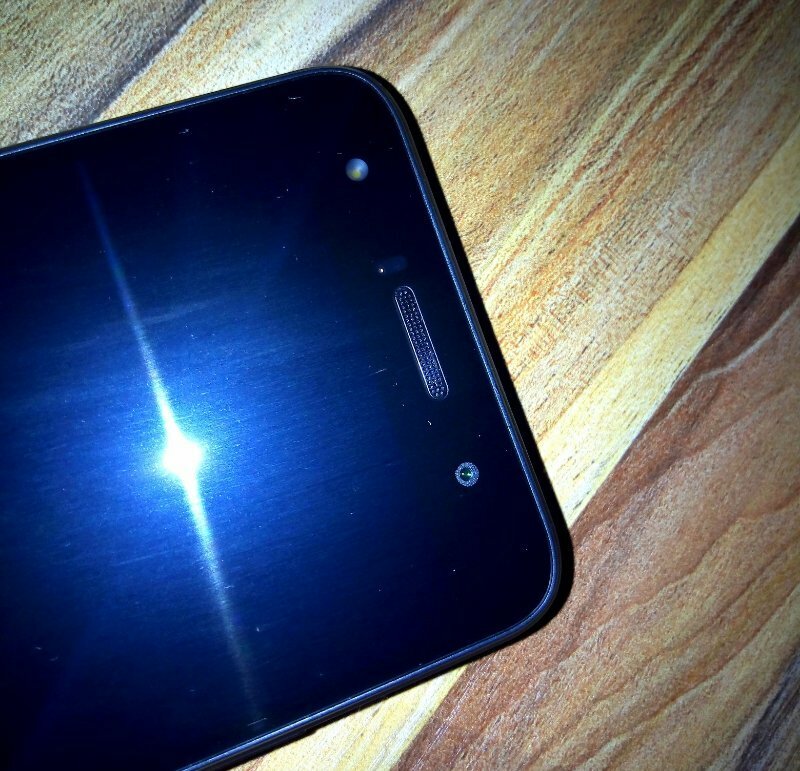 Turning to the back, well, nothing much, aside the 8-megapixel rear camera along a nice circle-designed dual-LED flash. 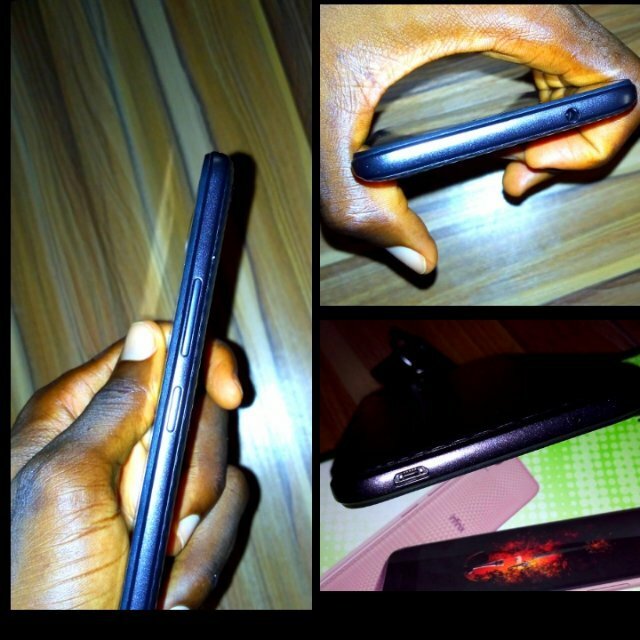 The rest at the back is Infinix and Hot! That wasn’t all yet, I also took a quick look into the back panel, and I saw a fully sealed Non-removable 4000mAh battery, along a dedicated SD card slot, and two other slots for your micro SIMs. Wanna know more, please come back for the full review. I’m trying to make it a norm to be always running an Antutu Benchmark in all my Unboxing Review. Sometimes, the tension of being the first to own a device is usually high on some geeks, so why should I keep you until the final review before concluding and executing you decisions? See the Antutu Benchmark, download same vision from Google play, test you device and compare the results with what we have, and take you decisions. However, this will only test few areas of the device, like processor, RAM, OS optimization, among others. When I tested the Infinix Hot 5 lite, well, I was not expecting much, considering it just Mediatek MT6580 32-bit processor, as a result I wasn’t disappointed. I’m already running my test on this device, and a full review should follow shortly. So please do ensure to visit us again, or follow us on twitter and Facebook to stay updated. Many, many more to come.